Paired with your favorite vegan-friendly starch and fat serving, this NuWeights recipe makes a great, well-rounded vegan breakfast option! 1. 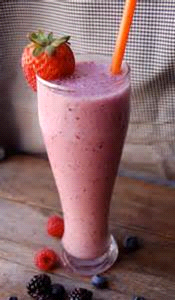 Blend all ingredients in a blender at high speed with 4 ice cubes. 2. Pour into 2 8-oz glasses and enjoy!